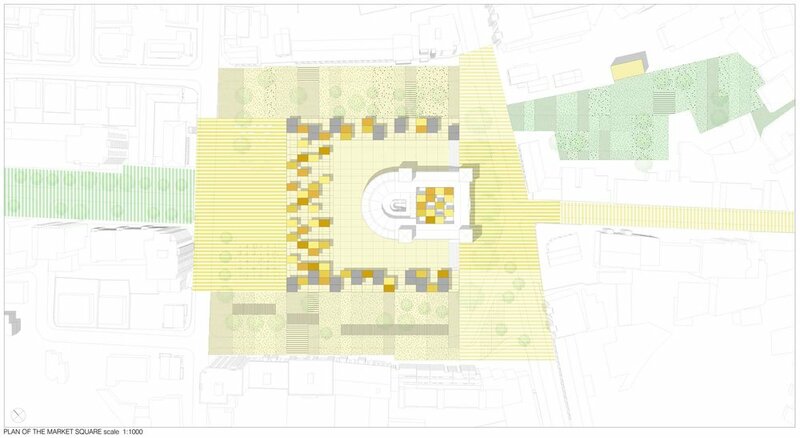 The Market square is renewed by organising the ground in a patchwork of hard and soft surfaces and by placing a three-dimensional metal grid that will host permanent and temporary activities. Movable panels could be easily arranged to obtain diverse configurations hosting multiple functions: established and official or informal and spontaneous. The 3D grid embeds fabrics produced in the Fabrica as a work of art at the urban scale. The patchwork and the grid are interactive and adaptable systems that could trigger participatory processes and citizens' empowerment. 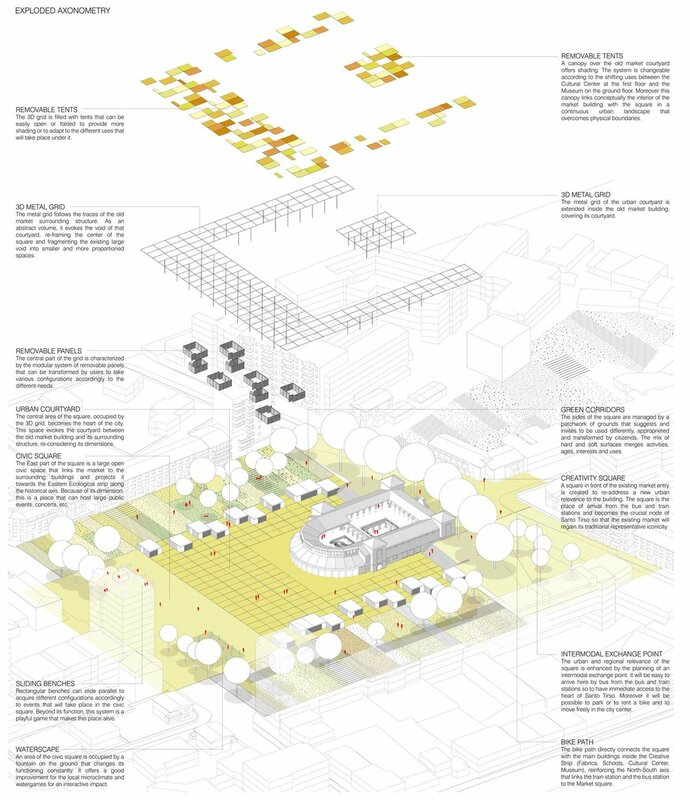 This integrated multifunctional system built on an ever-changing landscape and on the iconicity of the market square constitutes the framework for tourist interests, economic investments, and daily practices. The aim of the project is to enhance the business and productive aspiration of Santo Tirso and gain a more established regional relevance. This vision includes an intertwined relationship between the river system and the city in a network that enhances all existing qualities and potentialities. Three North-South functional stripes will link the city centre to the river and its resources and they constitute a territorial system that is crossed transversally by the historical axis of the city centre. 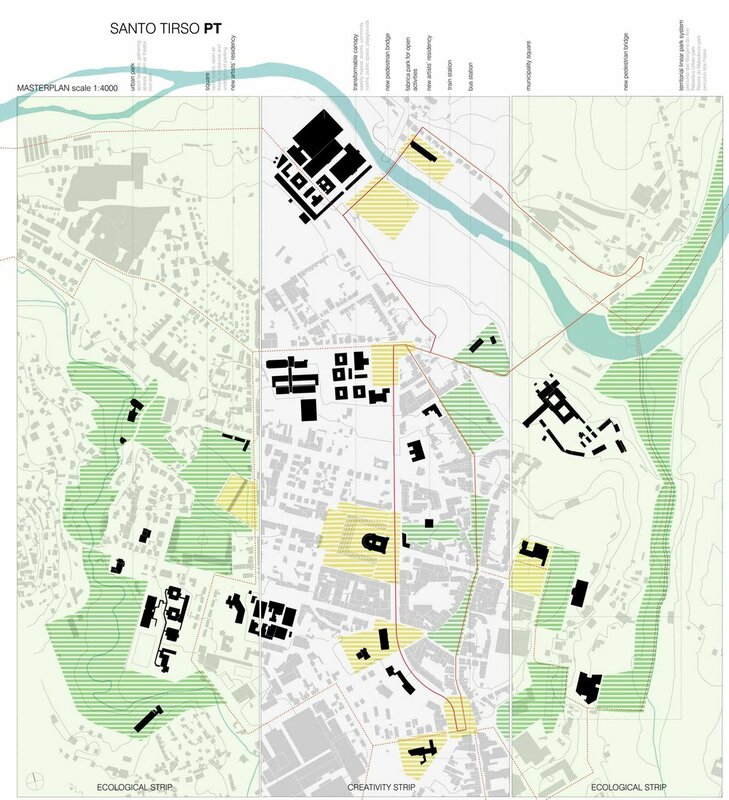 This system connects cultural, productive and ecological matters through proximity of functions giving a strong role to the Fabrica and focusing its centre on the Market square, the renovated pulsating heart of the city.